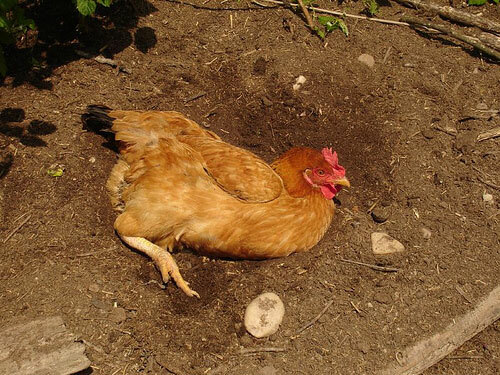 Chickens can be messy in their search for food. 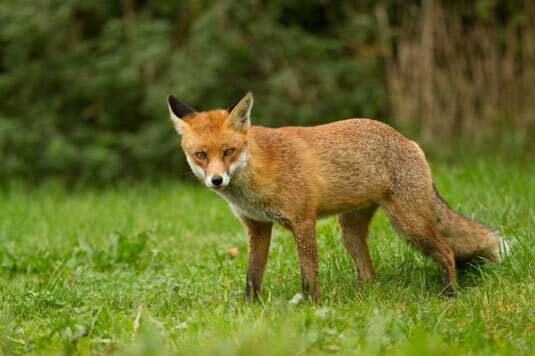 They can displace walking bark paths and make indentations for dust baths at the base of your favorite shrubs. 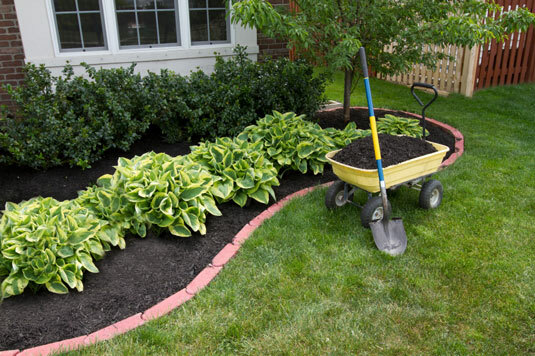 If you consider it a problem, you can take care of it with a good broom sweeping, rake, or shovel. 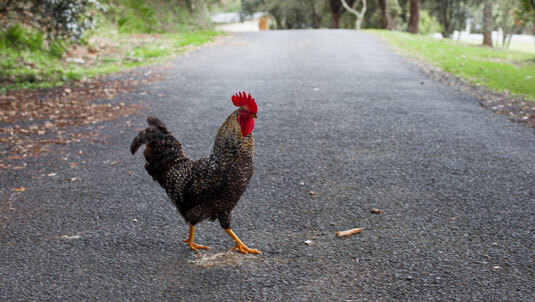 Chickens are more prone to harm and death from predators in a free-range situation. Chickens kept in a secure chicken coop and adjoining secure outside pen are much less likely to encounter a predator. 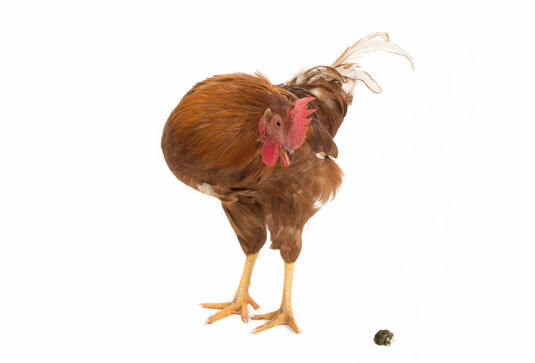 Chickens leave fresh manure or poop intermittently throughout softscape and hardscape, which is a good and bad thing. Chickens freely fertilize spots where you want them to and spots such as pathways or high-traffic areas where you don’t welcome manure. Chickens do well in a heavily planted landscape. They blend in well and have more forage food available, and you can see less of their scratching and aerating work. 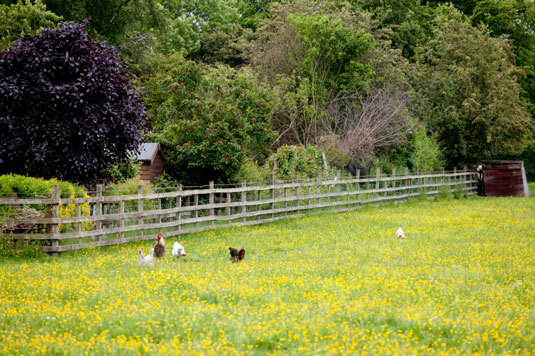 A smaller, heavily planted and layered, fenced landscape is a better environment for free-ranging chickens than a large, open, and fenced landscape. A chicken flock free-ranges mainly in a unit, so your entire flock will be concentrated in a small area. 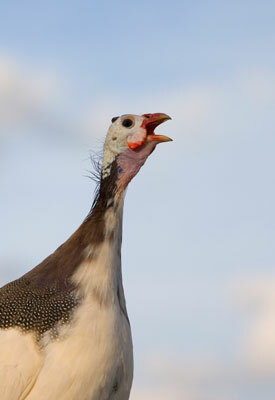 They can move quickly and like to be on the go. Your free-ranging flock will gravitate toward its favorite spots in its garden, pasture, or yard. If one hen happens to get separated from the flock, perhaps by going back to the coop to lay an egg, she’ll loudly cluck and make noise until she reunites with her flock. This can be a problem in a suburban environment or even in a rural environment if your property is close to someone else’s. 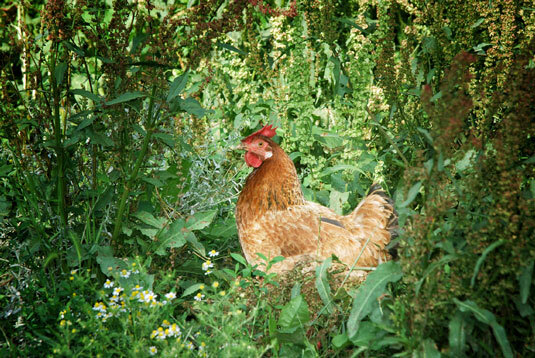 If you’re in your garden or landscape, your chickens will be close by. If you’re out there working, they will be working in their own way alongside you. But, if your chickens are free-ranging, they eat less of their laying feed and poop less inside their coop. This is a good thing. Just watch your step throughout your garden! 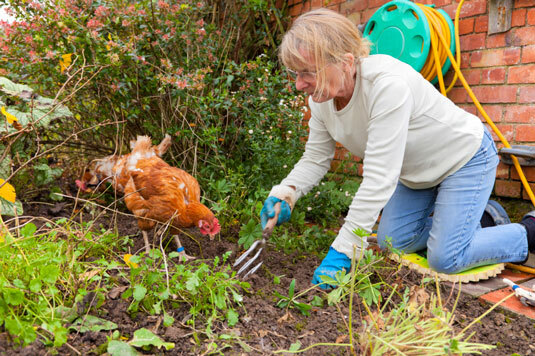 Any part of the garden you have redone, or recently mulched, or newly planted is a magnet to your flock of chickens. Temporarily fence them out if you don’t want that area disheveled. Chickens get into mischief occasionally, like flying into a fenced-off vegetable garden or your neighbor’s yard. Your friends and neighbors may jump on the bandwagon and experience the joy of raising chickens too. It’s up to you, as a flock owner, to use common sense, good judgment, and good management practices involving your chickens.